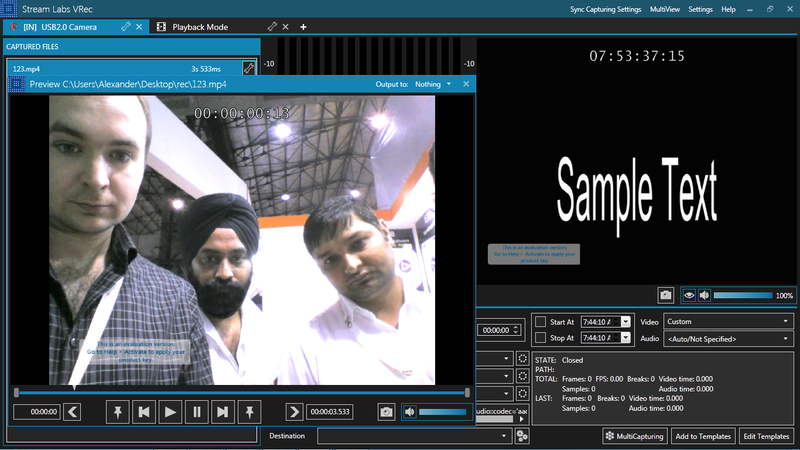 Synchronized multi-channel video capture and encoding to DNxHD, ProRes, H.264 and H.265. 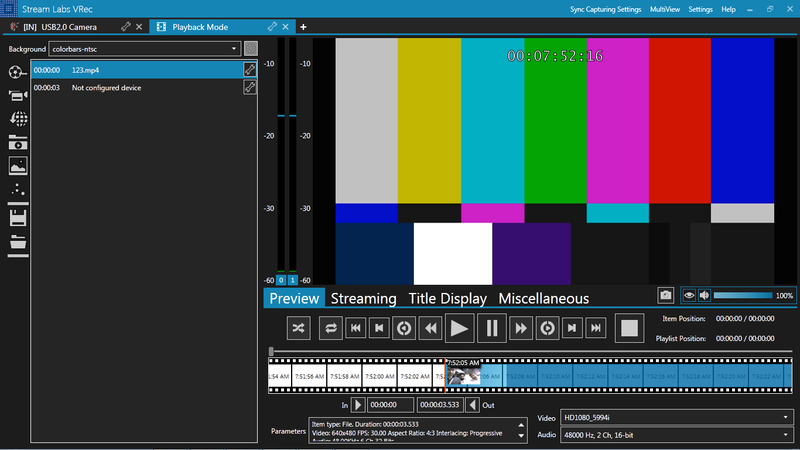 6 or more channels can be ingested synchronously (with LTC timecodes used for accurate synchronization). Start with a single click. No need to repeat the same setup process each time you have a recording session. 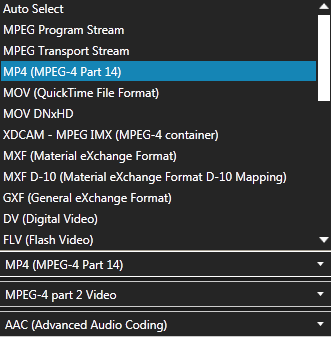 Use presets to start multi-channel capture with a single click. Can simultaneously encode the same signal into several alternative formats (creating files of different sizes using different compression settings). Push the encoding stress out of the system to dedicated chips (Nvidia's NVENC and Intel's Quick Sync). Once the recording process has begun, you can start playing back the files that are being recorded. Fantastic multiviewer. 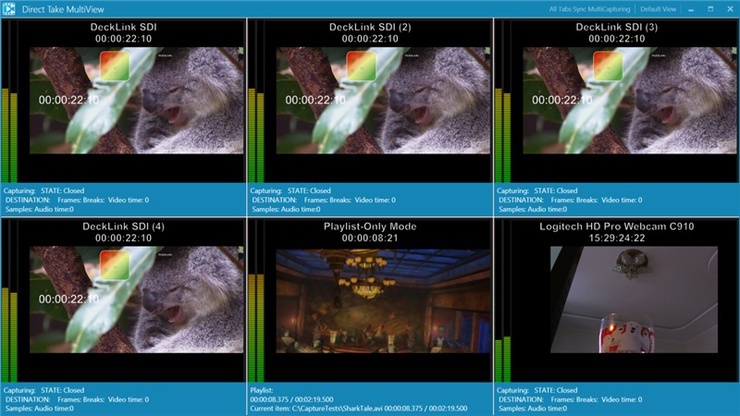 Audio level, timecode, and other capture session data are displayed for each channel. 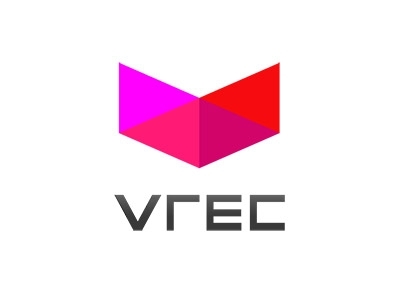 H.264, H.265, MPEG-2, M-JPEG, ProRes, DNxHD, MXF, .MOV, .MP4, .AVI, RTMP, RTSP, UDP, HTTP and more. For processing SD/HD SDI and Composite input signals in VRec we use Stream Labs capture cards.